Kirsty initially gained a BA Honours Degree in English and History but, after having three children, decided that the law was the career path for her. Kirsty began further studies and obtained her LLB locally at Edge Hill University before going on to gain a post graduate diploma in legal practice at Liverpool John Moore’s University. Kirsty qualified as a solicitor in January 2011 having completed her professional training in the North West. During this time, Kirsty spent several years working in the catastrophic injury litigation sector, acting for clients with life changing injuries, including those suffering from paralysis and brain injury. Having had personal experience of serious mental health issues within her close family and having witnessed first-hand the devastating impact of brain injury on sufferers and their families in her litigation work, Kirsty felt an affinity with this area of work and began to specialise in Court of Protection matters, supporting clients with capacity issues. Kirsty has acted as a Professional Trustee, is an appointed Attorney under Lasting Powers of Attorney and has managed the funds of brain injured clients with high value estates under Deputyship Orders of the Court of Protection. This has involved supporting people without capacity in all aspects of financial management to include setting day to day budgets and personal spending levels; the implementation and employment of private care regimes; the purchase and adaptation of bespoke disability friendly accommodation; the implementation of complex therapy regimes; the purchase of aids and equipment; the purchase of specially adapted vehicles and the consideration and execution of appropriate financial investment. Kirsty joined odonnells in January 2016 to work alongside Philippa Curran, Lucy Gorst and Ruth Muncaster in the growing Court of Protection department, where she will continue to advise and represent individuals who lack capacity, and their families, in respect of both welfare and financial matters. Kirsty remains keen to be actively involved within her community. 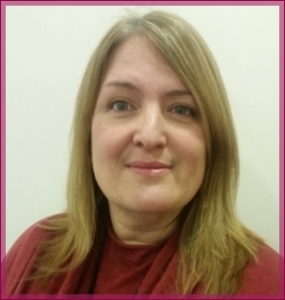 She is an enthusiastic member of a Community Choir, has been on the board of governors at her local Secondary School for several years and has been involved in voluntary work for both ‘Headway Preston and Chorley’ and ‘Headway Blackpool’ Branches (the brain injury charity). With such a busy schedule Kirsty likes to find respite by travelling when she can. This year she plans to spend her annual leave covering over 2500 miles between Chicago and California following Route 66 in the USA!